The present terms and conditions of sale apply between the seller (Anne Kerdilès Couture SARL) and the buyer (any individual placing order on the site). Any reproduction, complete or incomplete, of the site contents is systematically subject to Anne Kerdilès Couture SARL permission. However, some hypertext links towards the site are allowed without specific request. The actual terms and conditions apply for every order placed on the site https://www.annekerdilescouture.com. The site https://www.annekerdilescouture.com can change or adjust these actual conditions and terms by any time without notice. In that case, the applicable terms are those in effect at the time the buyer places order. The buyer acknowledges having read these general terms and conditions of sale when he places order, and declares to fully accept them without reservation. Products sold are those that figure on the site https://www.annekerdilescouture.com the day the buyer visits the site. Products sold on the site https://www.annekerdilescouture.com are PDF sewing patterns, i.e. digital downloadable patterns, and printed sewing patterns, i.e. physical. These sewing patterns are reserved for a strictly private use. Any reproduction, complete or incomplete, and any commercialisation and/or sale of Anne Kerdilès Couture patterns, are absolutely forbidden. Any commercialisation and/or sale of clothes made with a pattern from Anne Kerdilès Couture is strictly forbidden as well. Order validation constitues acceptance by the buyer of the actual terms and conditions. Order is regarded valid when payment is receipt. When the payment is receipt (that constitues acceptance of the order on the site https://www.annekerdilescouture.com), Anne Kerdilès Couture will ship the product(s) to the buyer at the delivery address given while ordering within seven (7) business days, according to availability, unless otherwise specified on the site the day of the order. If this period was extended, Anne Kerdilès Couture will keep the buyer notified via e-mail. This delay could not lead to an order cancellation/invalidation, or damages payment or any price discount. When order is receipt, the buyer must check the wrapping and the good condition of product(s) delivered. If wrapping and/or goods are damaged, the buyer must notify the carrier at the time of delivery. Anne Kerdilès Couture patterns can be shipped in France and worldwide. All prices indicated on the site https://www.annekerdilescouture.com are expressed in euros (€) VAT included. Payments on the site https://www.annekerdilescouture.com are fully secured and can be made throught payment methods proposed: via credit card thanks to payment plateform Stripe and via Paypal either with a Paypal account if the buyer owns one or by credit card. Both payement methods are fully secured. Revocation doesn’t apply for PDF patterns since they are digital and automatically and immediately sent after order validation. Cancellation and refund of an order of PDF patterns are therefore impossible. The buyer has 14 days after receiving his order to return it to Anne Kerdilès Couture for exchange or refund, at his own expense, under the conditions that the goods are not damaged, do not show any sign of use and/or envelop opening. To proceed to the return, the buyer will have to first notify Anne Kerdilès Couture via e-mail at hello@annekerdilescouture.com. Anne Kerdilès Couture will then contact the buyer to give him the postal return address. When returned goods are receipt, Anne Kerdilès Couture agrees to refund the order (expect the initial shipping fees) via the payment method used at the order, within 14 days, under conditions that the goods are not damaged, do not present sign of use and/or envelop opening. The goods has to be in perfect resale condition. If returned printed patterns show any sign of use and or envelop opening, products return will then be null and void and Anne Kerdilès Couture will have therefore the right to not accept the return. Any personal informations concerning the buyer and given by the buyer (email, name, address…) are used for the order processing only and are in no case divulged to third parties. In compliance with the law “Informatique et Libertés” n°78-17 of 6th January 1978, le the buyer has the right to access, modify, rectify and delete data concerning himself. These General Terms and Conditions of sale are subject to the French law. Any litigation between Anne Kerdilès Couture and the buyer would be subjected to the relevant court. 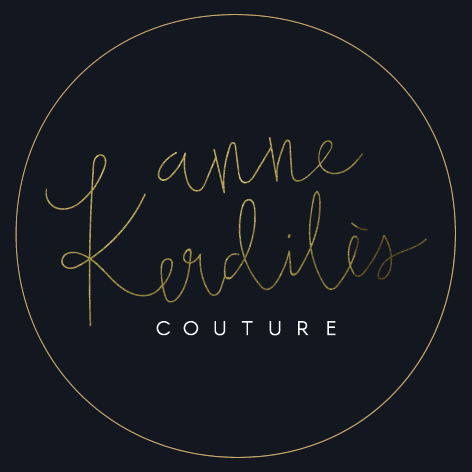 The content of the site https://www.annekerdilescouture.com, texts and photos are the property of Anne Kerdilès Couture. All the patterns sold on the site https://www.annekerdilescouture.com are reserved of private use only.